The cerebral cortex plays a key role in memory, attention, perception, language, and consciousness. Unlike other regions in the adult brain, the cerebral cortex is not capable of generating new neurons after traumatic injury. Berninger and others have previously shown that Sox2, Ascl1, and other transcription factors—proteins that bind to specific DNA sequences to control the activity of genes—can induce the nonneuronal “support cells” known as glia to turn into neurons. 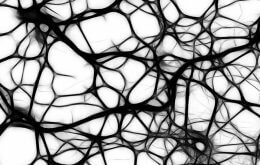 It has been difficult, however, to convert glia into neurons after brain injuries such as stroke in the adult cerebral cortex of living animals. To test potential brain repair strategies, Berninger and Magdalena Götz of Helmholtz Zentrum München and LMU delivered transcription factors into the cerebral cortex of an animal model three days after brain injury. Surprisingly, they found that Sox2 alone or in combination with Ascl1 was sufficient to trigger the emergence of neurons, contrary to the widely accepted view that Sox2 prevents stem cells from turning into more mature cells such as neurons. Notably, the majority of cells that converted into neurons were NG2 glia. These glial cells have received relatively little attention in the past, even though they represent a promising cellular source for brain repair strategies because of their abundance and life-long capacity for proliferation. Taken together, these findings support the notion that cellular reprogramming may become a way of replacing degenerated neurons in the adult brain. 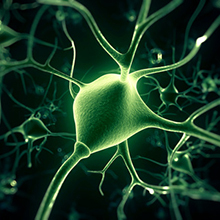 “Our study sets the stage for further research to identify which additional cues could induce these neurons to fully mature and incorporate into functional circuits, thereby allowing this approach to potentially be used in the clinic,” Götz says. The University Medical Center of Johannes Gutenberg University Mainz is the only facility of its kind in Rhineland-Palatinate. It consists of more than 60 clinics, institutes, and departments. Research and teaching are inextricably linked with medical treatment. Approximately 3,500 students of medicine and dentistry are trained in Mainz on a continuous basis. The Helmholtz Zentrum München, as the German Research Center for Environmental Health, pursues the objective of developing personalized medicine for the diagnosis, therapy and prevention of wide-spread diseases such as diabetes mellitus and lung diseases. To this end, it investigates the interactions of genetics, environmental factors and lifestyle. The Zentrum’s headquarters is located in Neuherberg in the north of Munich. The Helmholtz Zentrum München employs around 2,200 people and is a member of the Helmholtz Association, which has 18 scientific-technical and biological-medical research centres with around 34,000 employees. As one of Europe’s leading research universities, LMU Munich is committed to the highest international standards of excellence in research and teaching. Building on its 500-year-tradition of scholarship, LMU covers a broad spectrum of disciplines, ranging from the humanities and cultural studies through law, economics and social studies to medicine and the sciences. 14 percent of LMU‘s 50,000 students come from abroad, originating from 125 countries worldwide. The know-how and creativity of LMU’s academics form the foundation of the University’s outstanding research record. This is also reflected in LMU‘s designation of as a “university of excellence” in the context of the Excellence Initiative, a nationwide competition to promote top-level university research.